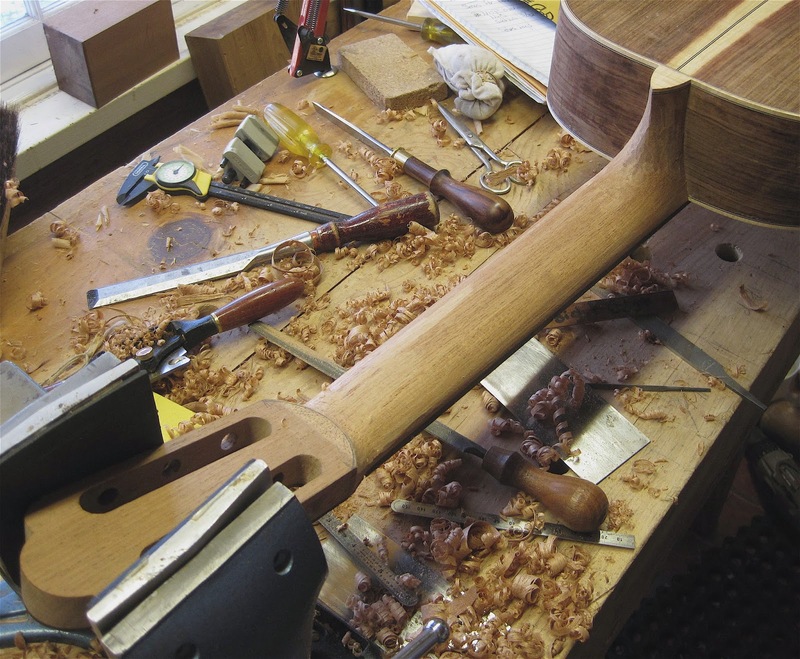 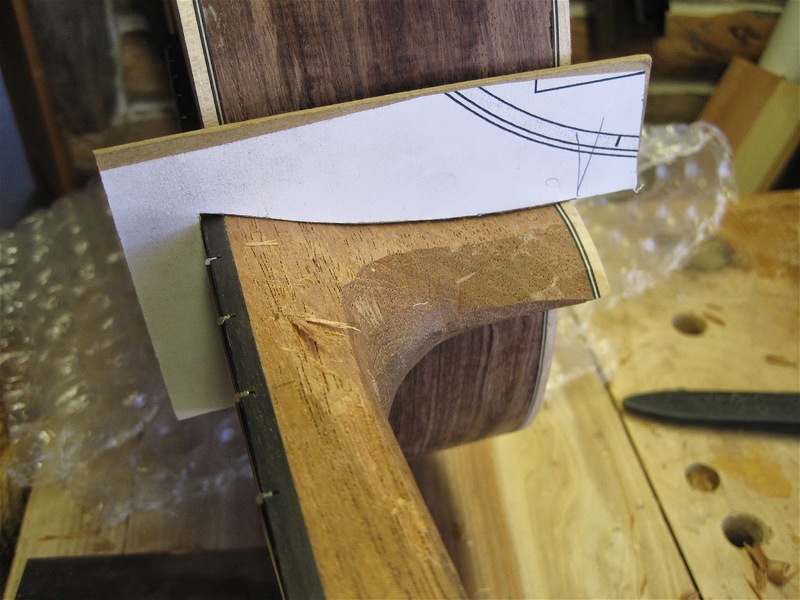 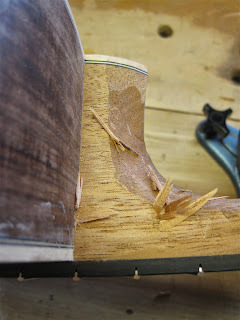 As you can expect, the neck is the most complex part of the guitar. 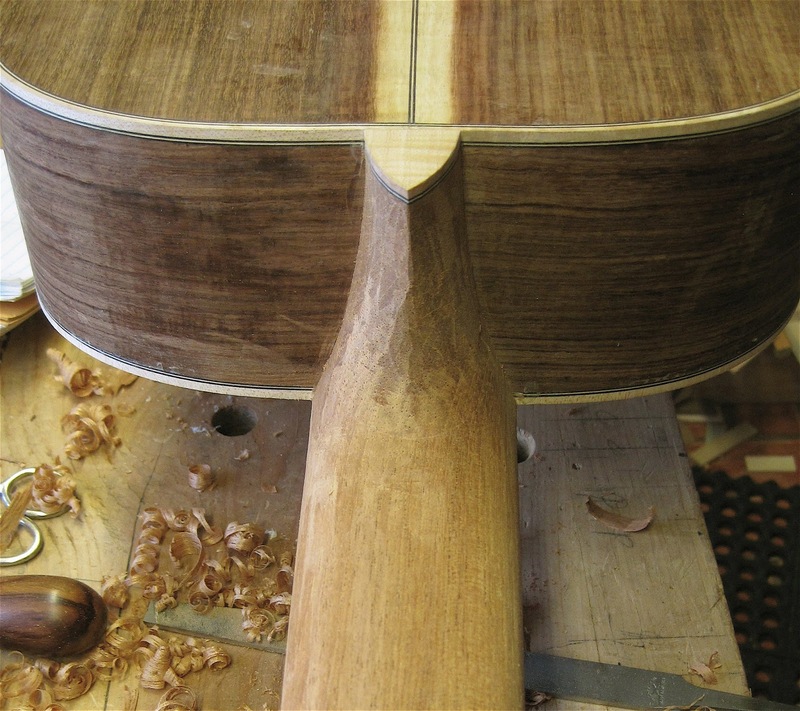 In the Spanish school, every part of the classical guitar is built in conjunction with the neck and in line with it. 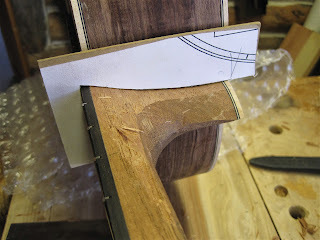 I am often asked what part of the guitar takes the longest to make, everyone assumes that the task of calibrating the top consumes the most time. 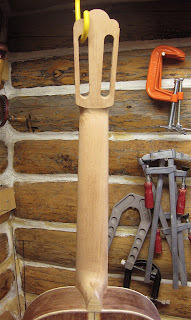 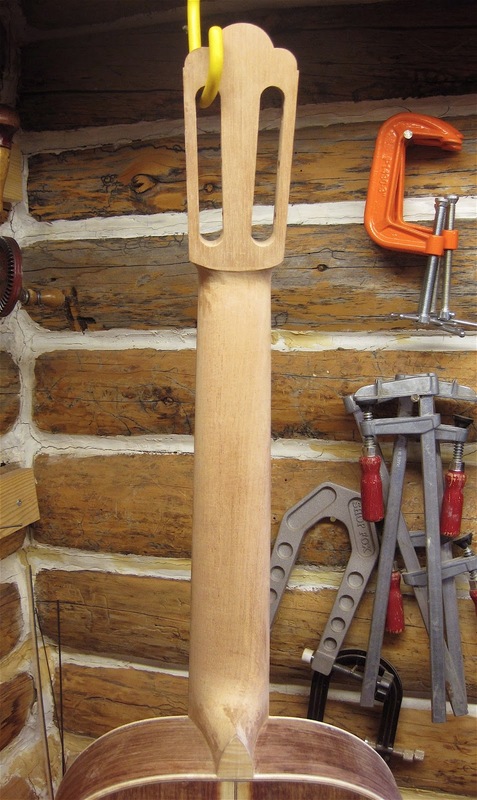 I find that carving and shaping the neck takes the longest, other than the French polishing. 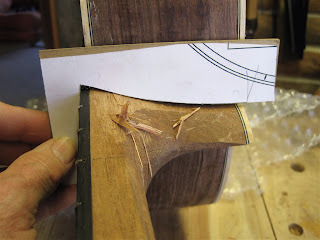 As a classical guitar player, I know the importance of a well shaped neck, the profile must not be too round or too thick, both will tire a player quickly and can lead to physical issues. I spend as much time needed to make the neck perfect! 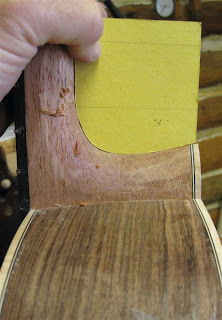 I shape the neck to have a sort of flattened "D" profile. 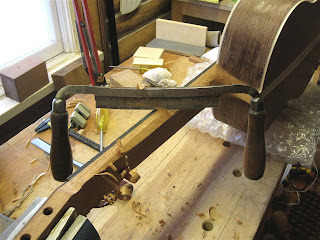 I find this to be a most comfortable shape and I have yet to have a client complain about it. A little more finish work on the headstock and heel and the guitar will be ready for French polish!